In a small town swollen with secrets, a young boy puzzles his way through a minefield of societal expectations and Southern Baptist status quo. Ben Bramley has been granted an idyllic upbringing in a scenic mountain hamlet, his family involved in the area’s widespread apple-growing heritage. But within this close-knit community, privacy is an illusion. When the promises of his faith fail him, Ben struggles alone with an unrecognizable life and becomes the unwitting repository of weighty secrets. Complex relationships fuel a story in which hypocrisy is an art form, change is impossible, and love is destructive. Whether toting spring water, chopping wood or learning to plow with mules, young Glenn Williams’ childhood is anything but carefree, his elementary school education abruptly terminated by the demands of the family farm. Many years later, his hard-fought accomplishments take on legendary status as he shares them with his eager grandson. Doling out homespun advice peppered with bygone language, Glenn makes indelible impressions on a young mind in search of a real-life hero. Acres of gigantic apple trees become the classroom where Glenn imparts the greatest gift he has to offer a grandchild—the fundamental lessons of life. Set in the tranquil mountains of Western North Carolina and spanning two centuries of local history, One Apple at a Time chronicles the Williams family’s march toward the American Dream. More than a tribute to one man, this historical narrative captures the essence of all that is good about family. Inseverable bonds are the result for this close-knit family in the business of growing apples on the same soil for multiple generations. Come along and share their triumphs, mourn their losses, and laugh aloud as they deal with the challenges of farm life, one apple at a time. Angst is a collection of poems that deals with the difficulties and triumphs of being human. Often our deepest feelings or most profound experiences are only able to find their fullest voice, through poetry, with its poignant modicum of words. None of us are strangers to angst. It can befall us as early as toddlerhood. We all know that pit-of-the-stomach sensation that arises at pivotal moments of change, or perhaps grips us daily due to the many demands of life. Therefore, these poems will resonate with everyone, with subjects as diverse as fond childhood memories, to the aftermath of open-heart surgery. Many of the works address controversial social, racial, political, and religious issues, with the intention of inciting dialogue, leading to lasting improvement for all. Sharing the same planet, six billion strong, perhaps we can one day settle differences with words, rather than war. Poetry can be that vehicle for expression. Set in the mountains of Upstate South Carolina, native son, Bobby Joe Mabry streaks through his quaint hometown in a thunderous pick-up truck, a billowing Confederate flag trailing behind. High school graduation is a minor formality for the future full-time farmer, unaware that other residents have agendas which may not comply with his simplistic plans. 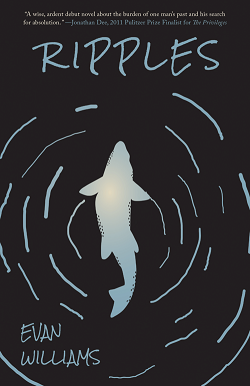 A finalist in the international Hemingway Shorts Contest, “Surface Tension” delivers long on the truth that lies beneath, and the inherent unpredictability of human nature. When a six-year-old, and his grandmother embark upon a secretive fishing trip, they have no suspicion of impending significance. Both will be tested, on multiple levels, setting in motion dangerous precedents. A finalist in the Second Annual Grateful Steps Short Story Contest, “Seventy-Two” is rich with images from gravel-road days. Outdoor enthusiasts will find themselves reliving the thrill of the catch, and the nostalgic joy of a lakeside picnic shared with a favored grandparent.